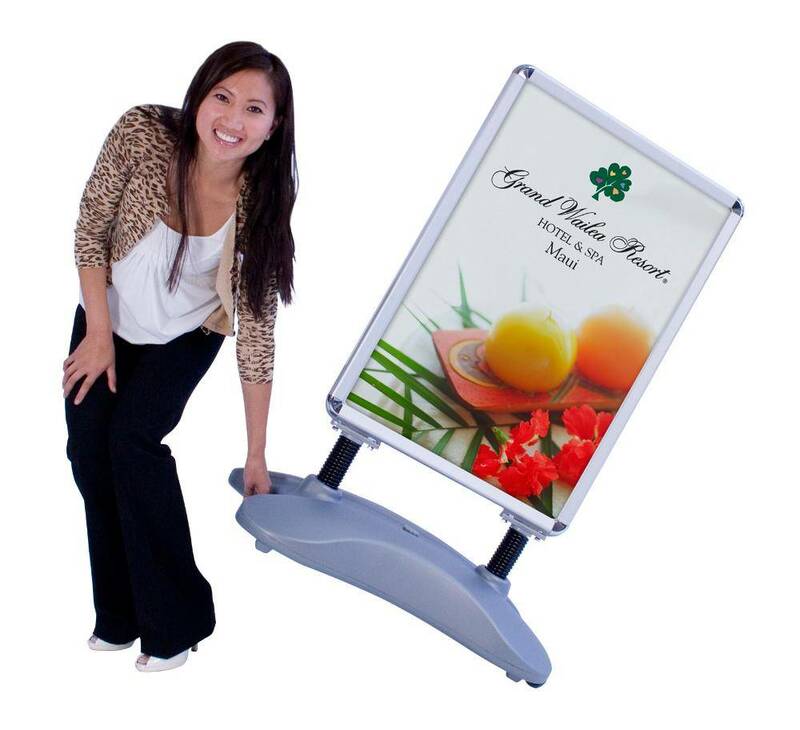 Attract more customers with the ideal outdoor sidewalk sign. The water base can handle high winds. Built in wheels make moving your sidewalk display easy. 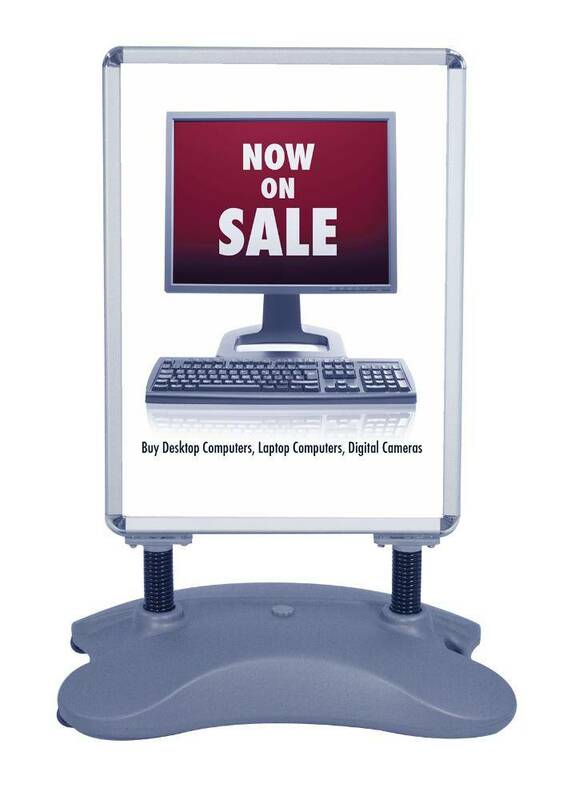 The double sided snap frame holds materials up to 23.25" x 33" and includes glare reducing overlays. Water base can handle outdoor, high wind environments. Hardware only or replacement print options available. Select Options for Instant Quote pricing.